With an objective to provide a magnificent platform for the students to interact with the eminent industry experts, the annual event Colloquium was held at IIM Indore on July 29-30, 2017. The two day event organized by the Industry Interaction Cell (IIC) of the Institute, witnessed inspiring and encouraging guest talks from the experts across the nation who gave industry insight to the students. The event was attended by more than 500 students eager to learn from the experts. The first day of the event began with the inaugural address by Professor Rishikesha T. Krishnan, Director, IIM Indore. Professor Krishnan in his address talked about the challenges faced by the industry by quoting many recent examples. During the first half of the first day, the students got an opportunity to interact with eminent personalities like Mr. Shirish Joshi, who has over 28 years of experience in firms like Procter and Gamble, Godrej, PepsiCo etc. at multiple positions, who shed light on what actually is the core difference between a choice and a strategy for a business firm. He quoted examples from the Airline, FMCG and Telecomm industry to explain how marketing strategies differ for incumbent and new companies. 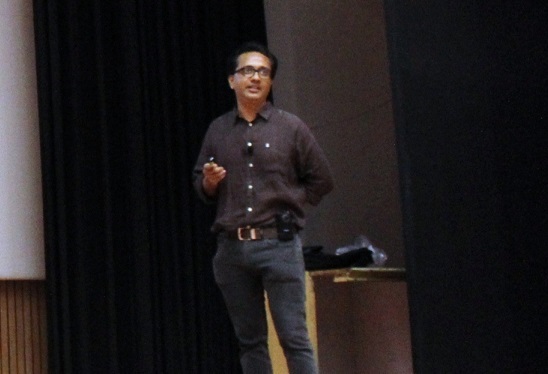 Talking about digital strategy of Nykaa, Mr. Hitesh Malhotra, Chief Marketing Officer, Nykaa; gave insights to the students on the digital marketing strategy adopted by the company and the challenges faced by the company on the way to becoming a formidable force in the e-commerce sector. Providing a whole new angle to the event, Mr. Kirti Sharma, with more than 22 years of experience in strategizing and implementing Sustainable Business Models (SBM), spoke about the potential of the sanitation sector and how it’s being valued by various FMCG giants today as well. 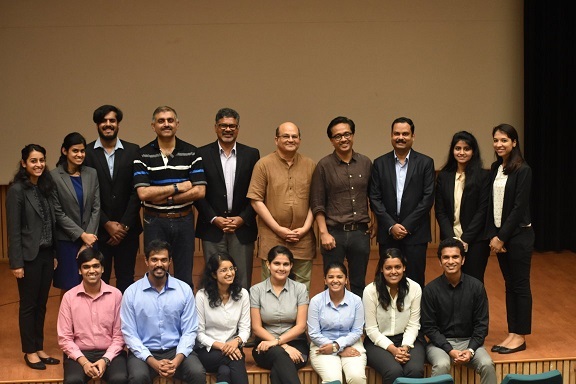 Mr. Amit Gupta, Senior Manager at Deloitte, touched upon a range of domains while addressing the audience including Rural India, LGBT Rights et al and provided in-depth knowledge to students regarding how the consulting industry works. The second day the event kick-started with lectures from eminent guests such as Mr. Badri Raghavan (SVP & Chief Data Scientist, OLA); Mr. Achint Setia (Head-Strategy, Business Development & Data Science, VIACOM 18); Mr. Nitin Seth (EX-COO, FLIPKART); Mr. Rajib Sen (Banking Professional); Mr. Manish Jain (Partner-Banking & Financial Services, IBM). A case study workshop was also held by Mr. Shajan Ninan (Founder & CEO of Kaizen center for Finance & Entrepreneurship). 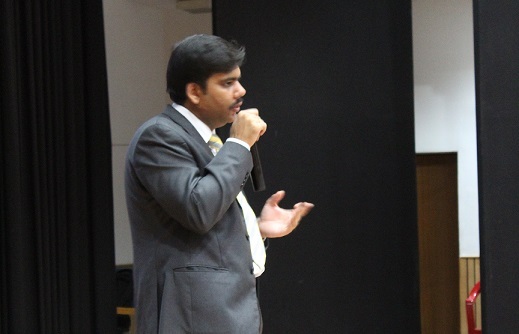 Mr. Badri Raghavan (SVP & Chief Data Scientist, OLA) started the event with his insightful talk. Mr. Achint Setia (Head-Strategy, Business Development & Data Science, VIACOM 18) discussed about the ‘The Media War of the Worlds’ and what are the challenges that lie ahead. 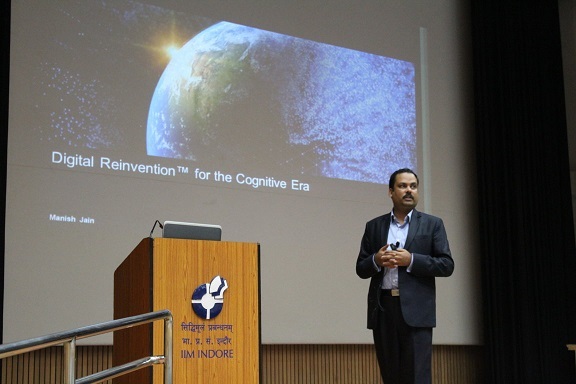 Mr. Nitin Seth (EX-COO, FLIPKART) talked about his experiences of leading in a VUCA (Volatile, Uncertain, Complex, Ambiguous) world and how leaders can create breakthrough opportunities from disruption. Mr. Rajib Sen (Banking Professional) talked about digitization (or moving online) of all the traditional banking activities and programs. Mr. Manish Jain (Partner-Banking & Financial Services, IBM) gave insights about Role of Cloud Computing and technology in Finance and how user experience is of utmost importance. 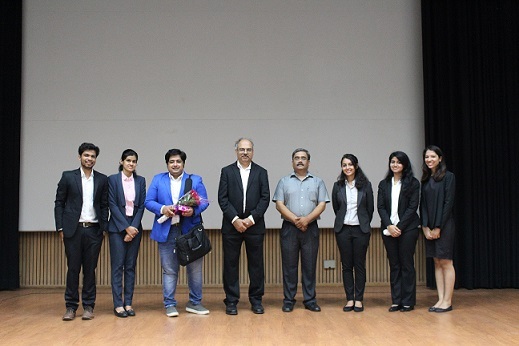 The event concluded with a vote of thanks from the Industry Interaction Cell (IIC) of IIM Indore. Overall the colloquium was a huge success due to the active participation of students and the hard work of IIC.